Responsive - Desktop, laptop, tablet or phone? Car dealership marketing by Azizi Media provides advanced online marketing solutions to help U.K. motor dealers increase profits in every aspect of their business. 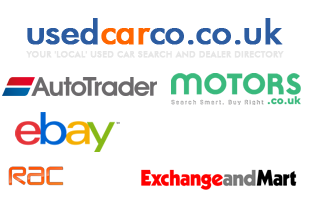 Azizi provide custom designed car dealership websites, automotive search engine optimisation, online marketing, mobile marketing, personalised dealer profile videos, new car videos, used car videos and Google 360 virtual showroom tours. We provide motor dealerships with easy-to-use products including our custom built vehicle inventory system, Dealer Manager, which provides dealers the means to manage and broadcast stock to a range of free and subscription third party platforms, as well as updating their own website. In addition, Azizi now offers a localised, used car sales platform and dealer directory, with national cover as part of its portfolio of products, providing new and used car dealers, and commercial vehicle dealers with a one-stop-solution to their online marketing needs. Please take a moment and read about our results, learn more about our products, or contact us directly.